Punggol end has always been a part of my childhood memory. It is where my dad brought us for dinner during special occasions when young. We thought it was appropriate to bring our dad but to the re-developed punggol end, renamed as The Punggol Settlement, to celebrate our dad's birthday. 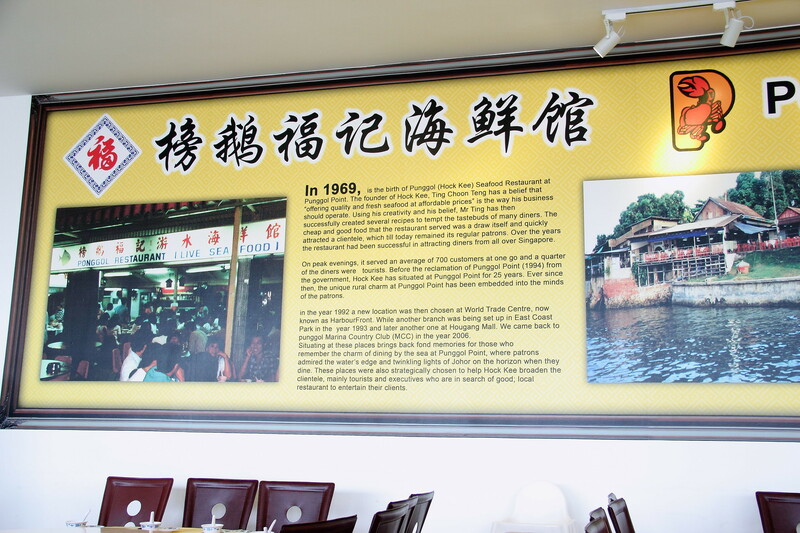 Together with the re-developed, Hock Kee Punggol Seafood has also moved back to where they all started. The Deep Fried Baby Squid ($24) seems to be a delight for young and ladies. 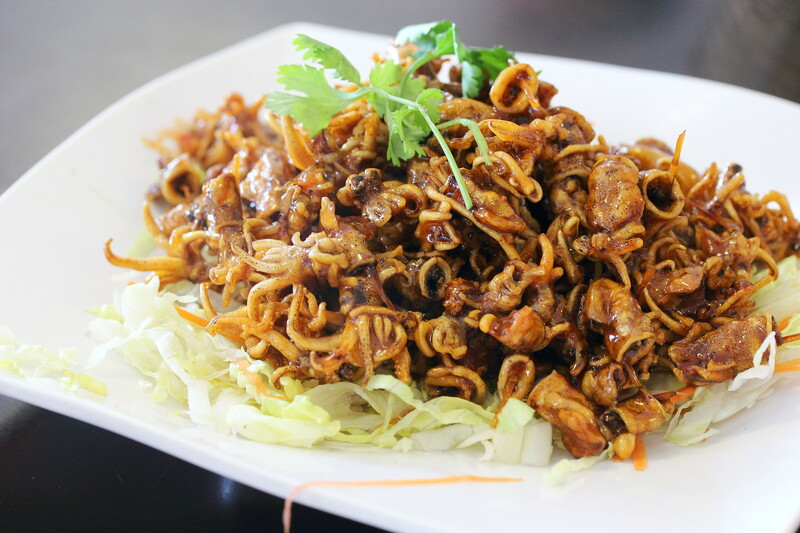 The enjoyed the crispiness of the deep fried baby squid coated with a layer of sweet sauce. 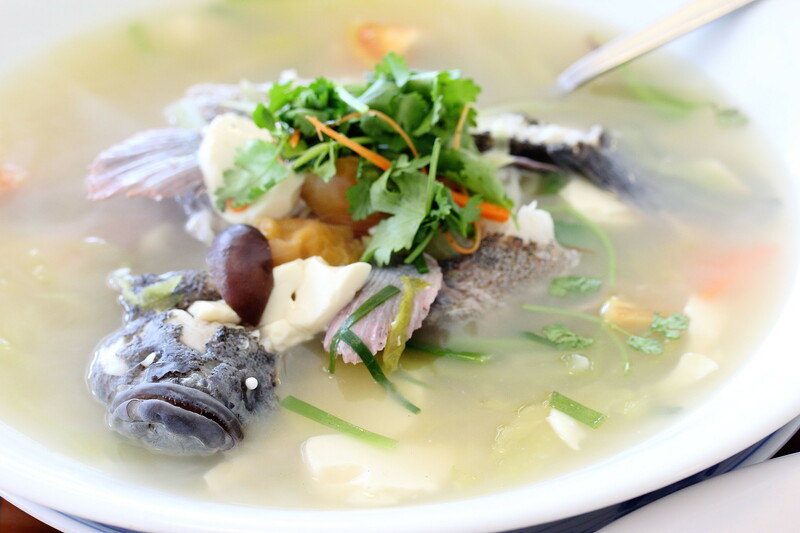 I find the the Fish Maw Soup ($30) was rather expensive with the sort of quality. The fish maw was rather dry and did not have that spongy texture. The soup was quite starchy too. 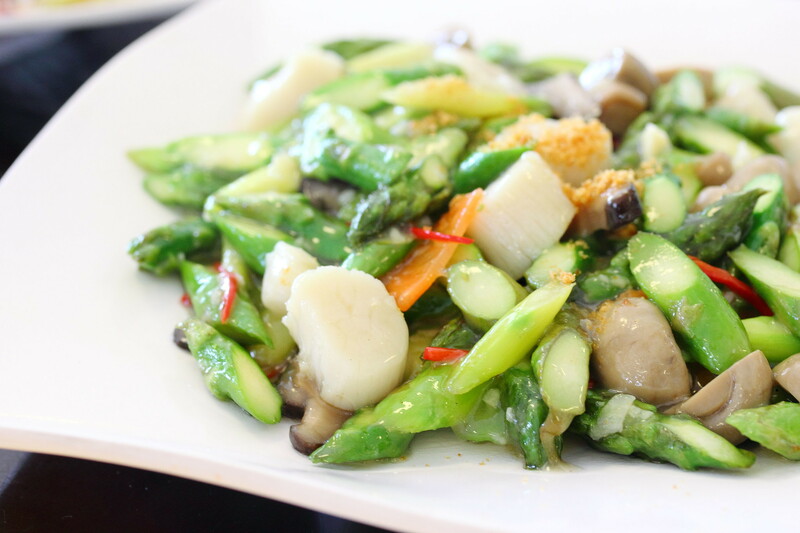 The Asparagus with Scallop ($40) was quite bland in the sense that it lacked the garlicky aroma of stir frying. The consolation was that the greens were sweet and cooked to a nice crunch. I am actually quite excited when I saw that the restaurant offers the La La Bee Hoon ($28.80). The version at Punggol Seafood is different from the one I had at Diamond Kitchen. 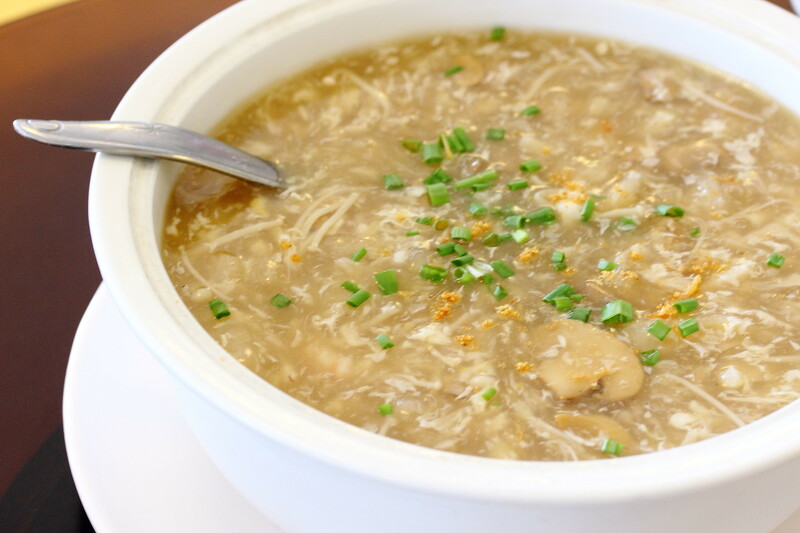 The la la been hoon here used a different type of bee hoon which is brown in colour and has a more firmer texture. The gravy itself is more cloudy. If I am not wrong milk is added, quite similar to those fish soup stall. 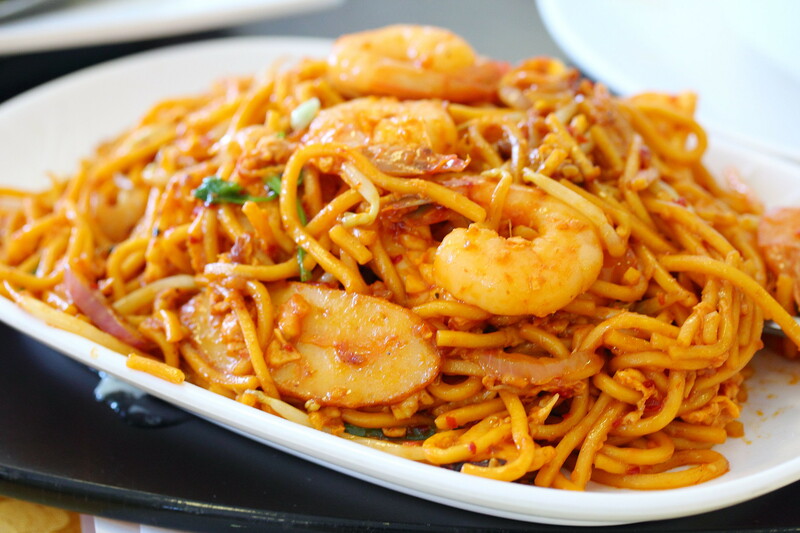 The other noodle dish on the menu, Mee Goreng ($12) was unfortunately very disappointing. The whole dish simply lacked any wok hei or flavours. It was so bad that the whole table of us left it untouched after just a mouth bite. Another dish that is very well executed is the Gong Gong ($12). The dish is actually flamed at table side, allowing the Chinese wine to be infused. 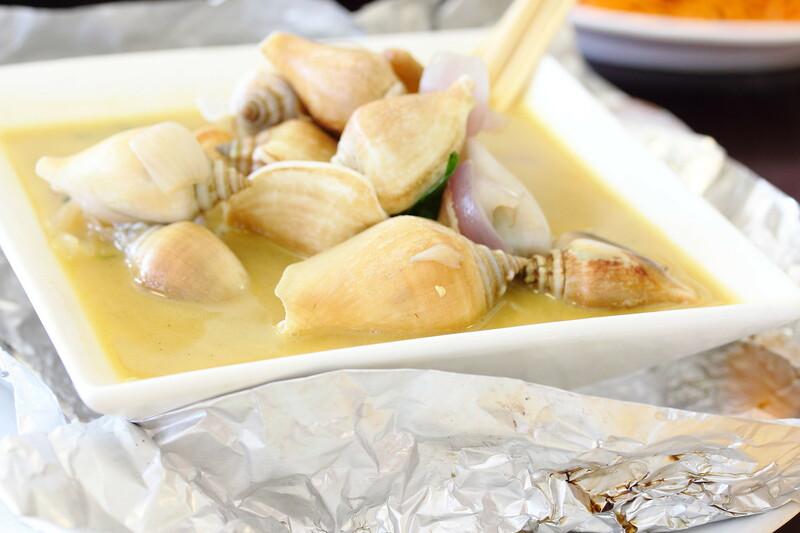 What made this event more enjoyable is the gravy that tasted of a mixture of butter and chinese wine that is used to cook the sea snail. I was so good that I actually gone back for a couple more sips of the gravy. Punggol Seafood serves live seafood which is quite in their fish tanks. My dad actually chose and catch the Steamed Soon Hock ($38.50) himself. Timed perfectly in steaming the fish, I like the simplicity of just using salted vegetables and sour plums, allowing the freshness of the fish to shine. The mud crab used at Punggol seafood is really huge. It should be more than 2.5kg per crab. 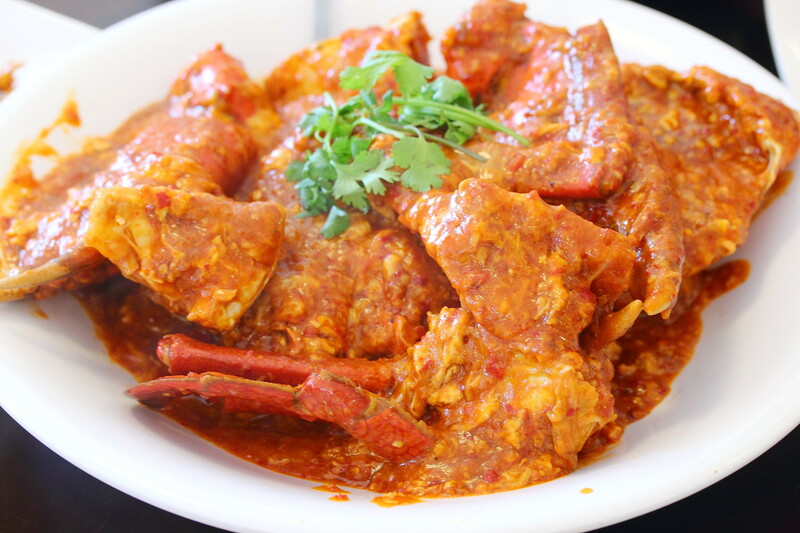 The freshness of the Chilli Crab ($88) can be tasted in its firmness and sweetness. For the gravy, I thought it can be more robust and spicier. It is actually not bad, it is just that it felt slightly short of my expectation. 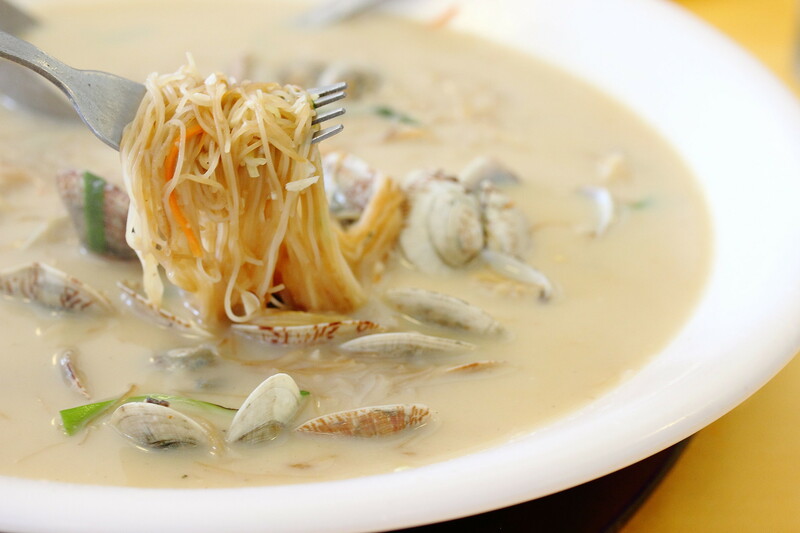 Overall there were some hits and misses at Punggol Seafood. It seems that they are better on their seafood dishes. The la la bee hoon is recommendable too.